then crossed north Florida on state roads. The churches were the most interesting things I passed. 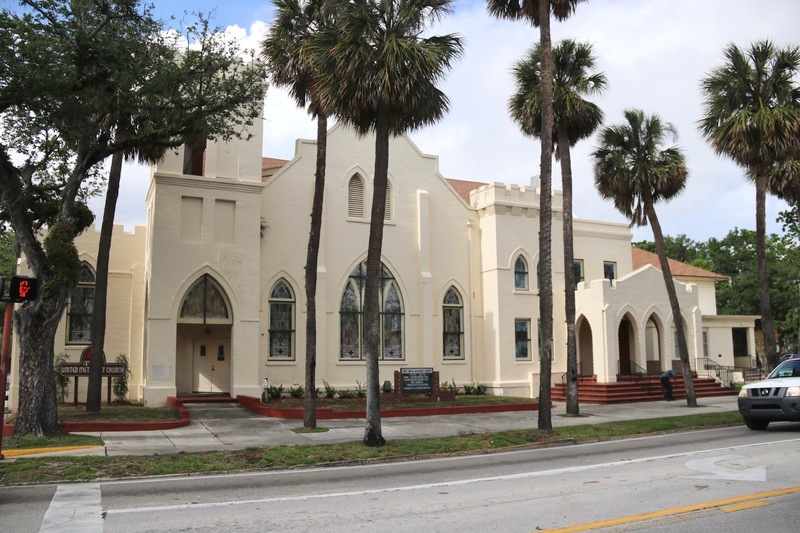 Three churches in Palatka, one out in the country and two in-town. 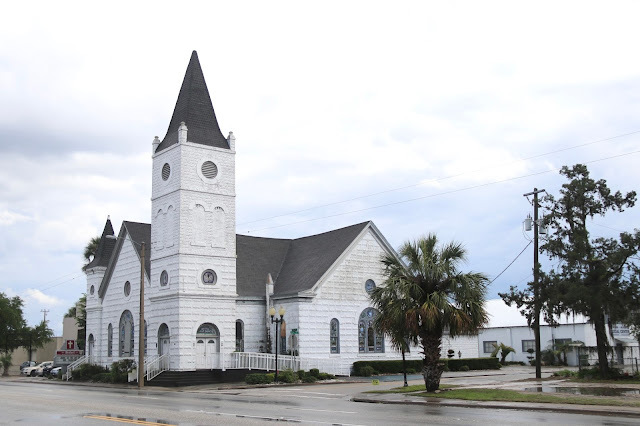 And, on arriving in St. Augustine for the evening, a fine church greeted me on King Street. Wonderful mix of architectural styles there, but it all seems to work well together. Nice. I'm impressed you take the time to pause and enjoy your surroundings rather than racing straight through to get up north. They are nice! That first one is very similar to the Episcopal church I attended growing up in Jacksonville Beach. I really like that 1st one, Jack! This is going to be a leisurely trip north? Good for you for taking "the scenic" route back home. Beautiful, especially the last one. Fine collection of churches. Hope you had a great drive. You might be safe from the Spring snow storms. They are all fine churches. I hope the congregations are as fine as their buildings. Fine looking churches, especially the first two. It looks like you encountered some rain along the way.